I Survived the First Week of School! 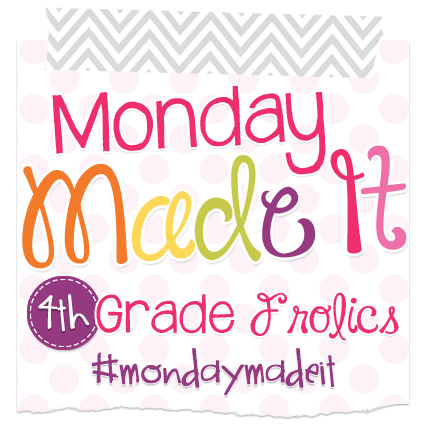 This week I'm linking up with 4th Grade Frolics for Monday Made It. Check out what I've been up to! How many of you have one of these bad boys in your classroom? I'm sure we all have one of these in some size in our class. I hate that it's white and looks boring. I wanted to give it some pizzazz so I spray painted it! It's so easy to do I just had to share! Step 1: Empty out the drawers and if it's on wheels, tape them up so they stay black. Step 4: Let it dry, and paint more coats as needed. Step 5: Sand it down if it's bumpy. Step 6: Be super proud of your work! Make sure the spray paint you use has primer in it, or that it is made for plastic. This will make sure it does not peel or scratch! There's also still time to enter my giveaway! Check it out here and enter below! It Really IS a Magic Eraser! How many of you use a sharpie to write on your laminated school stuff? I do! I hate how dry erase markers always wipe off so easily so I use a sharpie to label things after I laminate them. I used to use rubbing alcohol and paper towels to try to get off the sharpie so I could reuse my materials. This method took FOREVER and it didn't get the sharpie completely off. Well good news, I found a new way to get off the sharpie...COMPLETELY! Say hello to Mr. Clean's Magic Eraser! TA DAHHHH!!! I still cannot believe what an AMAZING job it did! My giveaway is still going on too! Enter below! 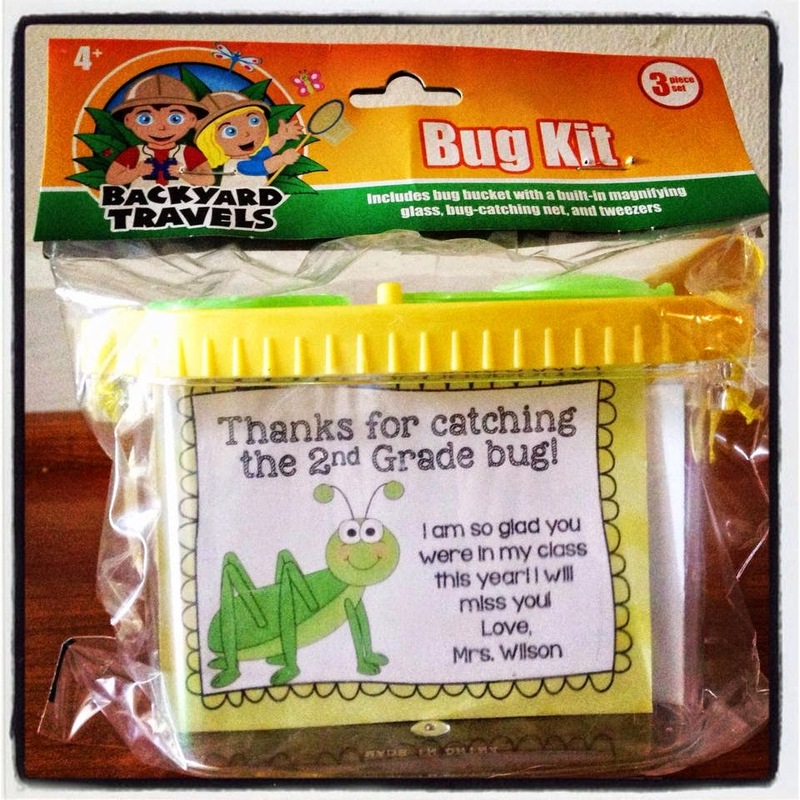 I cannot believe I am done with my first year of teaching! I had such a great year! 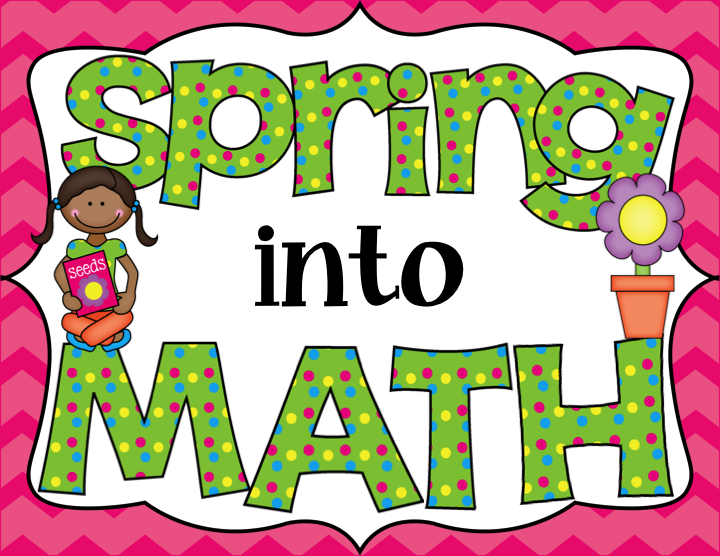 I am going to miss my kiddies so much but am excited to have the summer to plan for next year. When my kids came into class on the last day of school I was wearing my graduation cap and gown and had the graduation march playing. I made these gifts and had them on the students' desk when they came in on Friday. They were a big hit! I got them at the Dollar Tree and they also came with a little net and tweezers...for a DOLLAR! If you like the card leave a comment with your e-mail and I can send it to ya! So long kiddies! See ya in August! Oh it was HILARIOUS! 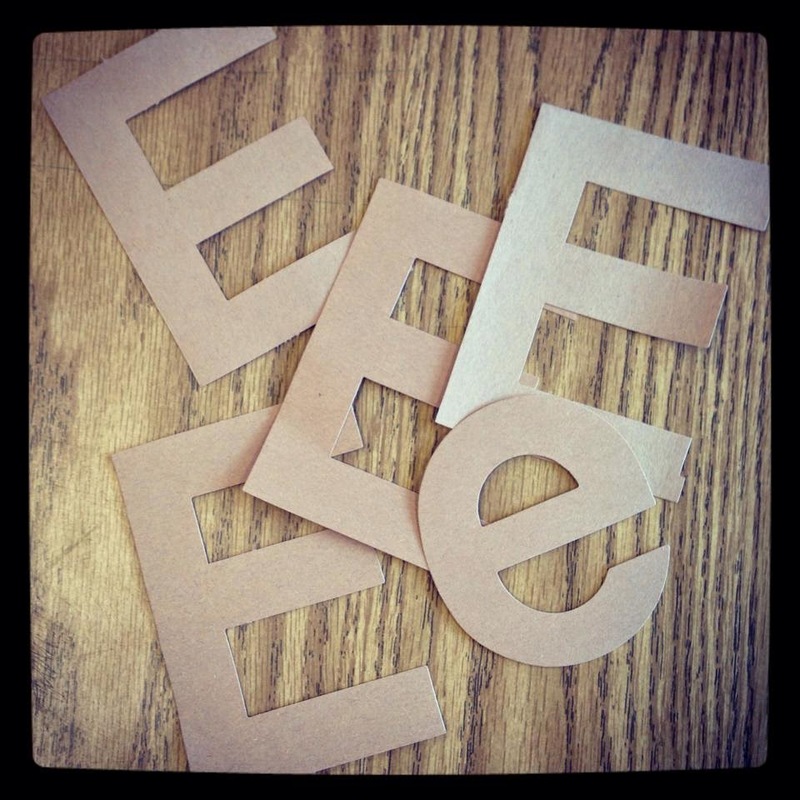 One girl started to read her words aloud to make sure she spelled them correctly. She read through the list, once, then twice, then looked at a friend and had her listen as she read them, slowly I could see the wheels turning in their head...Then they looked at me... I smiled....and the class erupted in laughter and cheers! I wish I had videoed it. I will never forget that moment! The kids started laughing and cheering as they ripped up their exam! Let's just say their last spelling test was a BIG success! I need more ideas! Do you play fun practical jokes on your class? 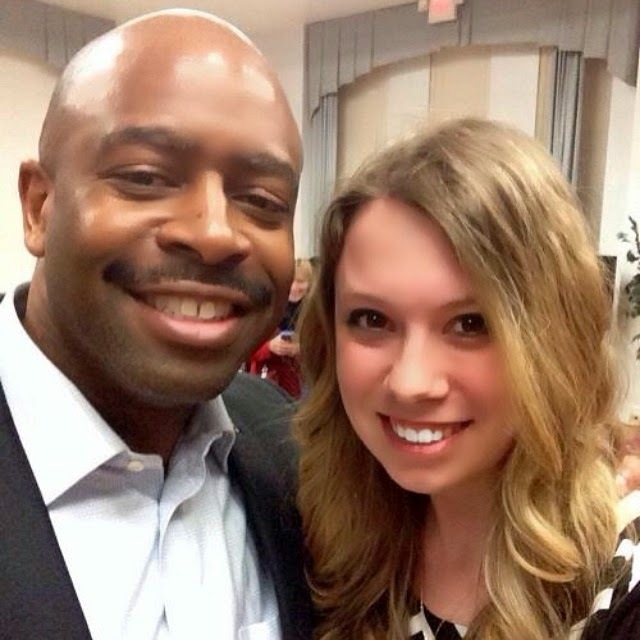 A few weeks back I met Leland Melvin at a lecture at a local college. Leland has not only been to space TWICE, but before that he was drafted by the NFL. What's really cool is that Leland went to the elementary school I teach at. That night I picked his brain, took a selfie with him and went away completely inspired! A few weeks later I got a message from him on twitter, telling me that he wanted to come to my class to speak to them about space. I wish you could have seen the look on my face! There was a definitely a lot of happy dancing going on. A few weeks later he was in my classroom talking to my students. 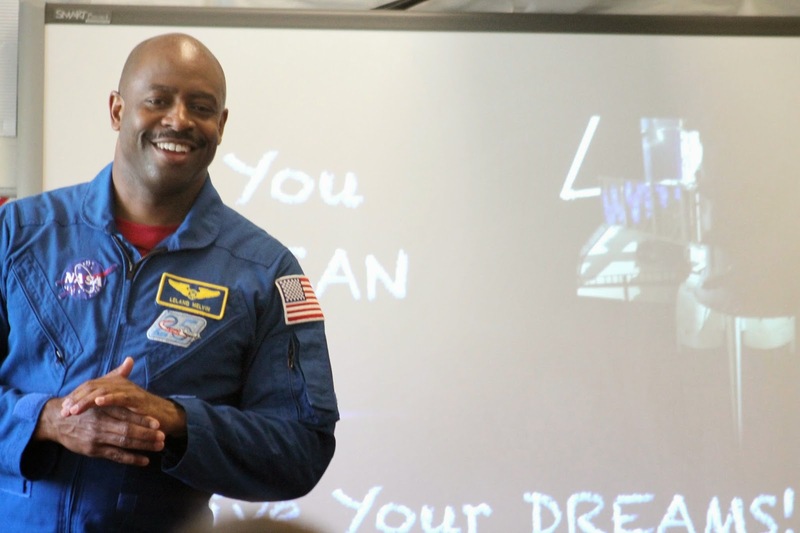 His visit happened to fall on our space week, it couldn't have been any more perfect! What better way to learn about space than someone who was there...twice! The class loved hearing him speak and watching his videos. When I first met Leland I talked to him about STEAM education in school. I wanted to incorporate it in my class but was very intimidated. Leland is a big advocate and gave me some tips. 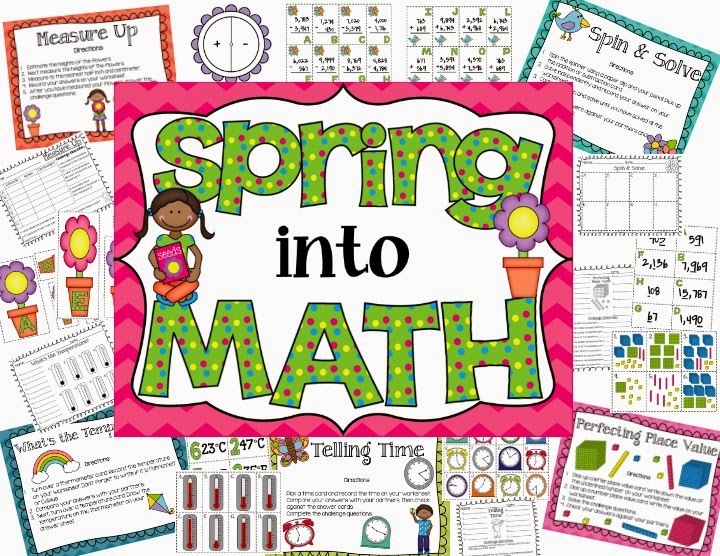 I then got connected with an AMAZING teacher who helped lead my class with our first STEAM project. Students needed to pick layers that would work best to make a space suit. To help them learn more about the elements of space they asked Leland questions... ya know... since he is kind of an expert :) He was so kind and answered each of their questions. It was amazing how he connected with each of them on a personal level. I still can't believe this actually happened. As a teacher I want to give my students everything and MORE. This experience is one they will remember forever. 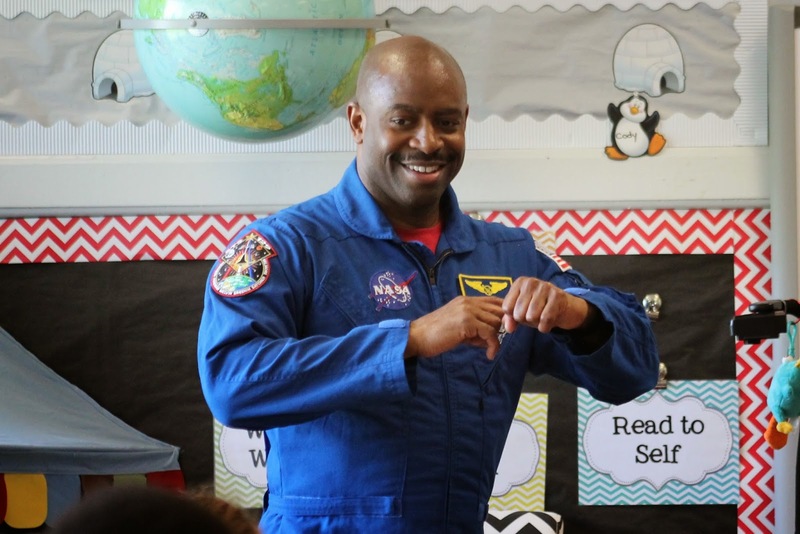 None of us will ever forget the day an astronaut came to our class to teach us about space. Leland inspired 17 little people that day, and I know they are going to go on and do amazing things. I cannot put into words how grateful and appreciative I am to have had this opportunity. Thank you so much Leland. I honestly, cannot thank you enough! How to Teach Writing Effectively! My students aren't very imaginative and often say, "I don't know what to write about..."
I have students write for 10 minutes then say, "I'm done!" 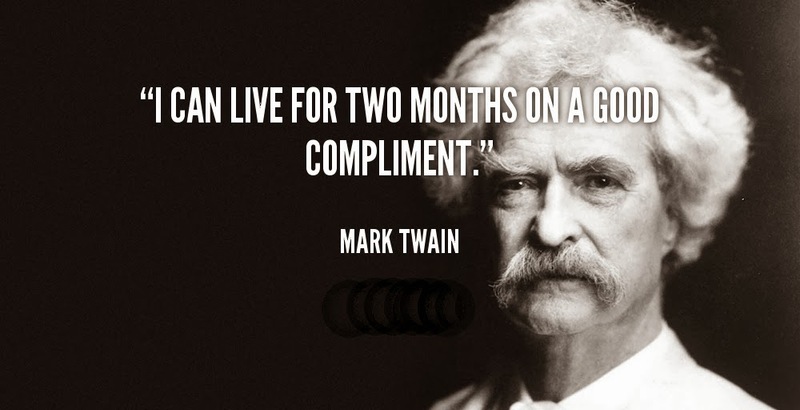 and students who barely write one complete sentence in that same time. The workshop used the Developmental Studies Center's program, "Being a Writer." Please check it out and watch every video and blog post you can find about it. Actually, just attend the conference because it will be the BEST use of your time, trust me! It was life-changing! You don't need to have a perfect piece of writing every time. You're teaching writing. It needs to be broken into smaller pieces. 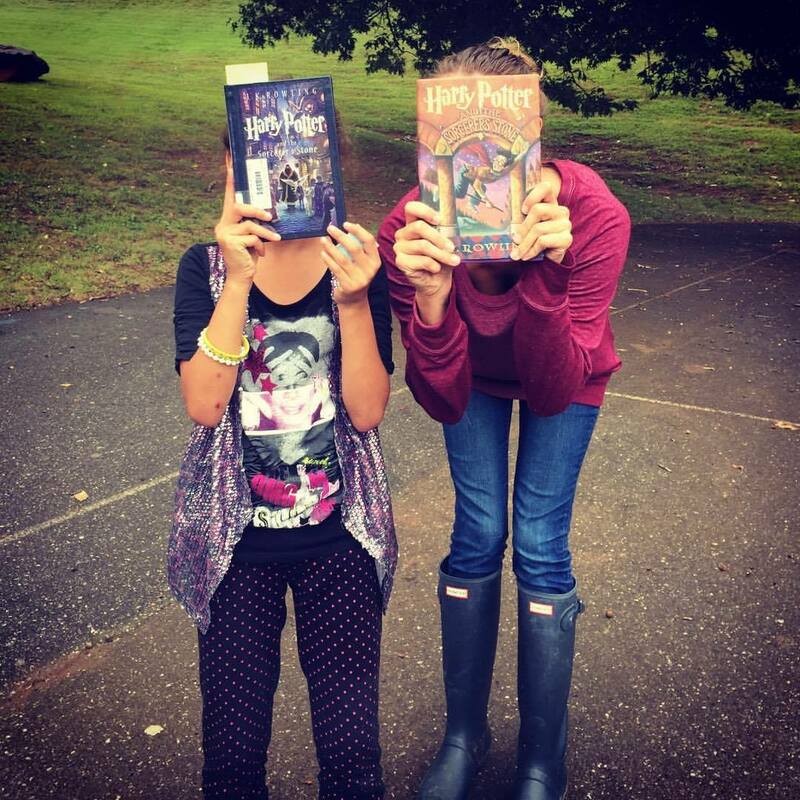 When students feel that they need to produce that perfect piece writing, it take the fun out of writing. They're not looking to see if you like their creativity, they're hoping you don't go for that red pen to edit everything away. Work on one thing at a time. Maybe the class, or just one student, needs to work on punctuation. Work on that skill and forget about their misspelled words or incorrect grammar. Baby steps people, baby steps. Check out my conference workbook! Since I wrote all over the pages, I needed to add post-its to have more room to write down information and ideas. All throughout the conference my mind was flooding with ideas. I was INSPIRED! 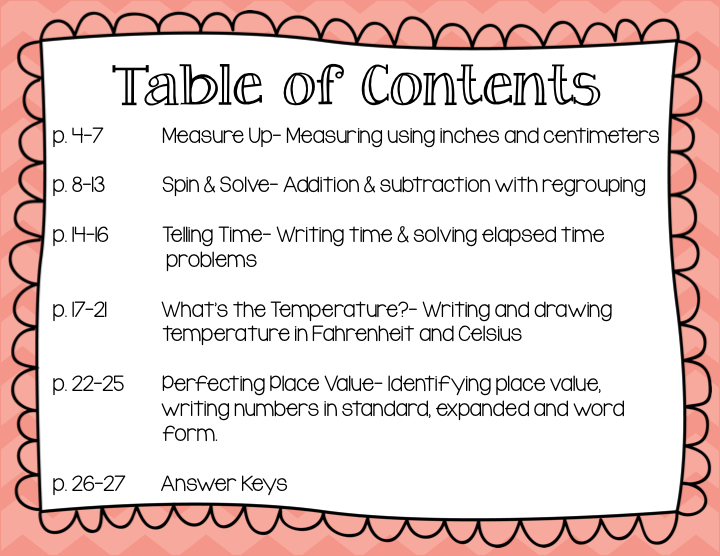 My colleague and I want to give each of our students a binder to use as their writing log. We want to put dividers in it so they can keep it all organized. It would have a conference log, for when we meet with students 1-on-1 to discuss their writing, a spot for typed notes that go along with our grammar lessons, a place to keep their writing....yes, I'm very excited about this! I promise to share it once it has been perfected. Now you tell me, what does writing look like in your classroom? Giveaway winner announced at the bottom of the post. I don't know what your school is like, but my school is very diverse. It's amazing how diverse the population is at my school. From the outside, you would never know that we are a high poverty school elementary school. We're located on a pretty street, surrounded by pretty houses. This weekend I saw this video and it was like a punch to the stomach. This is a reality for some students at my school. Get comfortable and a box of tissues, the video is about 13 minutes long. ReMoved - Trailer from HESCHLE on Vimeo. "This my past, my history, my story is not my fault. It's not because of me... and doesn't have to be what defines my future. I am lovable. I am worthy of care... and that glimmer of light makes all the difference. The glimmers of light give me hope that someday my summer will come." Enter below for your chance to win a Lock Smock for your classroom! Like most schools, my district recently added a new policy requiring classroom doors to remain locked at all times. I think it's a good policy, but an extremely annoying one at the same time. What's worse than the sound of nails on a chalkboard? The sound of my door being knocked on 24/7 while my kiddies dash in and out to use the bathroom, go to the nurse, get water, go to the office... you get the picture. I recently found something that works with the policy AND keeps my sanity. Talk about a win-win. I recently purchased something AMAZING for my classroom. It's one of those things that's too good NOT to share! The lock smock easily goes over the handles of the door with the elastic bands. One side is sewn in, and the other side has a clip. 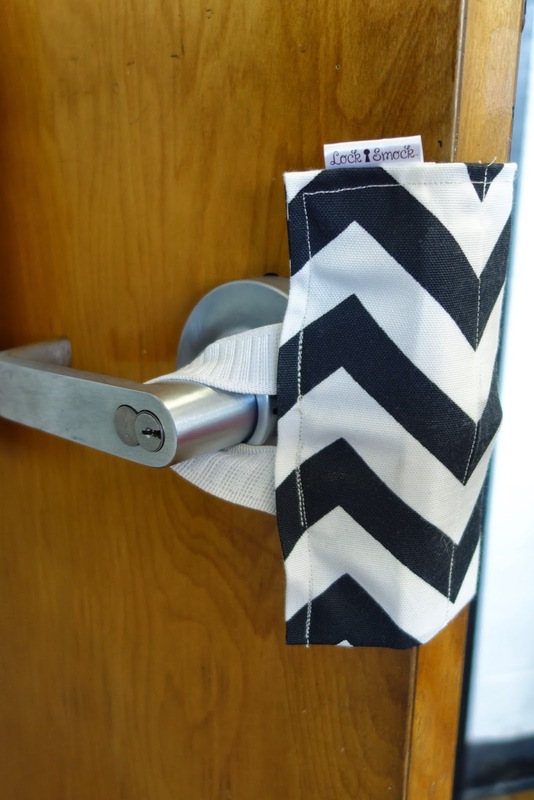 The lock smock is customized for door handles and knobs. The door completely shuts! I love that! If for any reason we need to lock our door all I need to do is unclip the strap and shut my ((already)) locked door. It's absolutely perfect! It honestly is one of the BEST things I have bought for my classroom! Go check out Brianna's store on Etsy here. You won't regret it! Seriously, this girl needs to go on Shark Tank! Brianna has kindly donated one of her NEW Heavy Duty Lock Smocks! She will customize it for your door so if you have door knobs or handles it will fit perfectly! To say that this was a crazy week would be an understatement. This past week my school had it's first ever bomb threat. What was scarier was that it was not only our school, but 10 other schools in our district. When the principal came on the loudspeaker telling us to leave the building and go to that spot my stomach dropped. We only go there when it's an emergency. The entire staff was amazing. It was as if we had practiced for this a million times. Everyone was calm, everyone got out quickly and waited for instructions. After searching our school, and all the others in the city, nothing was found. They caught the man a few days later and charged him with over 20 felonies. After this happened I put together my own "GO Bag." It sits within an arms length of my desk ready for me to grab should we ever need to GO out of the building right away. I hope I never need it, but if I do I think I have everything I would need. What do you guys think? Good idea? Or am I just being paranoid? I'm GREAT for 2 Months! The kids were crazy! We had 3 snow days and they came back to school still hungover on Valentine's Day candy. ...and it reminded me that even on these crazy days... 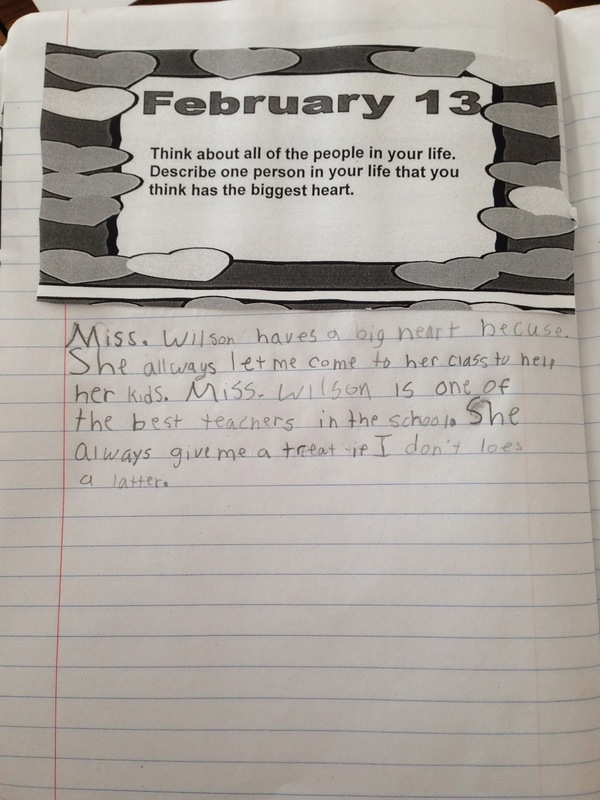 I love "my" kids, and I love my job, and I am making a difference in my little corner of the school. Welcome to the Academic Olympics! Welcome to the Academic Olympics! If you know me, you know I like to do things BIG! I also LOVE a good theme :) The Winter Olympics have inspired me to do my own version I have called the Academic Olympics! In room 108 we have Team Great Britain, Team China, Team Sweden, Team Russia and Team Canada. I picked teams that I thought they would see on TV and purposefully did not assign anyone Team USA because they ALL would have wanted to be on that team...DUH! Then I will average the teams scores for that subject at the end of the week to see who gets gold, silver and bronze. I will place the flag of that team under the medal. We needed to watch clips of each sport because they had no idea what some of them were. It was so cute watching their eyes light up! I got all of the decorations from Party City and bought little trophies, medals and pencils from Oriental Trading. So far the kids have LOVED it! Have you been doing anything Olympic themed in your classroom? I'd love to hear about it!